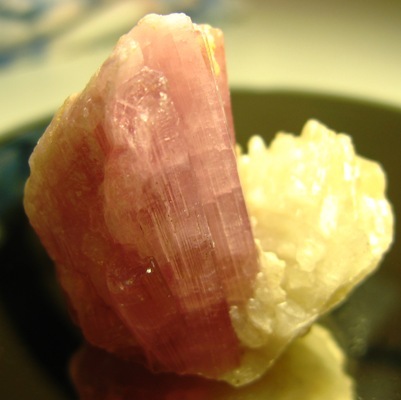 Comment: Clustered pink tourmaline crystals grown side by side with albite. Massive, yet translucent character and in fine mild color. Self-standing as shown in image.